Allaying the threat of preventable deaths, vaccines are one of the most important arsenal for public health globally. India undeniably remains the vaccine epicenter of the world, being home to highly successful vaccine giants who have not only helped India attain domestic self-sufficiency in vaccines for the public market, but also helped the country emerge as a global vaccine manufacturing hub. The vaccine industry has time and again, broken affordability barriers, addressed technology challenges and has earned India the recognition of having the largest global capacity for WHO prequalified vaccine manufacturing. The real laurel in the export success rests in the markets served and the consequent public health impact. Today, India remains unmatched in its price competitiveness to Global Alliance for Vaccines and Immunization (GAVI), an international non-profit organisation that works to ensure affordable access of essential vaccines to 73 low and middle income countries of the world. According to GAVI data, India accounted for a dominant 60 percent of their vaccine volume supply in 2014 which stands testament to the commendable global penetration success of Indian vaccine manufacturers. The success of the Indian vaccine industry is undoubtedly another jewel in India’s crown as the ‘Pharmacy of the world’. As the industry stands perched on remarkable success that exemplifies ‘Make in India’, the road ahead calls for strategic maneuvering. While continuing to strengthen global foothold is a crucial cornerstone to remain successful, a closer look at the evolving domestic market landscape is the need of the hour for Indian vaccine players. A key domestic development is the quiet and understated success of the private vaccination market in India. With the public immunisation program stealing all the limelight, large domestic vaccine players have traditionally paid lesser attention to the private market that now presents a flourishing opportunity due to increasing public awareness of vaccine preventable diseases and improving middle class affordability. Consequently, the private vaccination market has rapidly grown to now account for more than 65 percent of Indian vaccine market by value. Even as Indian vaccine manufacturers heavily dominate international public market contracts, bulk of the market share in this high value domestic private market is held of few multinationals. Even large pharmaceutical companies have taken note of this development and are capitalising on the emerging opportunity. Zydus Cadila has made significant investments in the segment, and a few other pharma companies also import and market vaccines in private segment. This rapidly growing private vaccine market is here to stay; and calls for rethinking of commercial and product strategy by dominant vaccine companies. While the incumbent segment leaders savor the joy of global success, it is time to take notice of new market waves and ride them before they are taken by newer entrants. Another domestic challenge looming in front of the Indian vaccine industry is the magnitude of unaddressed public health challenges. A glaring case today calling for the same accomplishment that the Indian industry has had so far globally in breaking affordability barriers, is the PCV vaccine. Currently priced at about Rs 3,500 a dose in the private market, the 3 dose regimen costing more than Rs 10,000 per infant for the PCV vaccine alone is unaffordable to majority of the Indian population. Pneumonia is the largest cause of death for children below five, and it is ironic that the vaccine remains unaffordable by the target population that needs it most. While India has announced adoption of PCV vaccine in public immunisation from 2017, given the current pipeline and pace of development, no Indian manufacturer will be marketing the product by then. HPV is another high value vaccine that carries the same affordability barrier, as there are currently no Indian manufacturers and entire global and domestic supply is dominated by two multinationals manufacturing in high cost countries. Other crucial diseases for which India needs to foster development for more effective next generation vaccines include tuberculosis, dengue, malaria, chikungunya. Beyond PCV, we don’t even have a notable pipeline for the other products. The PCV development delays and lean pipeline in other diseases is not because of Indian industry not making required efforts to produce the vaccine – it is despite that. 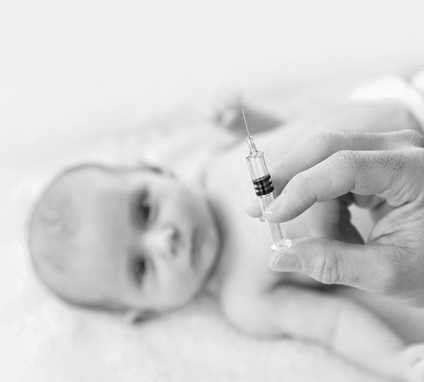 All emerging vaccines present daunting technical challenges. Technology has been a significant impediment in the case of PCV and a deal breaker in the case of few other vaccines. Hence, product risk is significantly high. Higher than it has been in all previously developed vaccines. We need an ecosystem where research is revered, not just encouraged. Can we reward product development and IP creation the way countries like Korea, Singapore and Switzerland do? Can the industry adopt a more collaborative approach so that inherent knowledge can be pooled and shared to accelerate solutions? Can we rethink how we operate so that we can take on the challenges ahead of us? On the home turf of public markets, industry has embarked on triggering a multi-stakeholder approach required for conquering challenges of complex emerging vaccines that lie ahead. It is critical that all stakeholders including policymakers and regulators maintain the momentum in this effort and work with all quarters to help India win over the next set of public health challenges.